The last day of 2010 was somewhat overcast and cold. But, it wasn't too windy and it wasn't raining (yet). 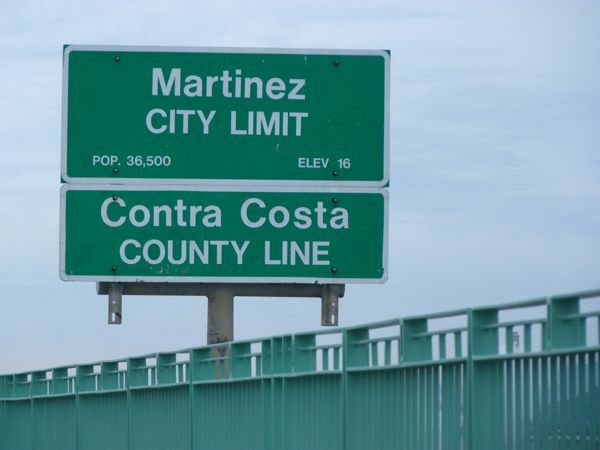 It was a fine day to walk across the Benicia-Martinez Bridge. 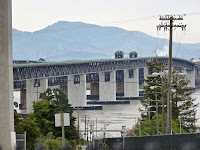 After lunch in historic downtown Benicia, I headed east toward the Benicia-Martinez Bridge -- which runs roughly north-south across the Carquinez Strait. I started from the Benicia side; from Jefferson (yellow lines on map), I walked up Park Road. Near the intersection of Park Road and Oak Road, I turned right onto the paved, 2-way bicycle and pedestrian path toward the bridge. A few pieces of thistledown from large, dried thistles floated across the path. On a clear day, there are probably nice views from this bridge (of Benicia and the Carquinez Bridge to the West). 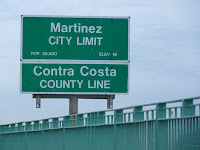 I turned around after I'd crossed into Martinez and Contra Costa County, and walked back over the bridge. There were not too many other people (2 pedestrians and 4 bicycles) crossing the bridge today (New Year's Eve). I enjoyed watching a small group of swallows flying around at dusk. 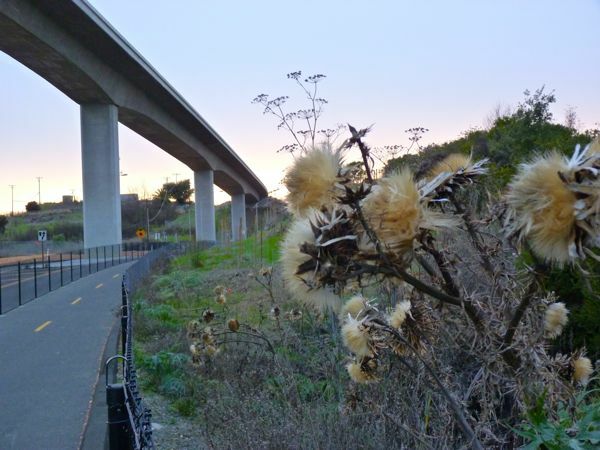 Where there are bridges and lots of overpasses, near the Bay, there are usually swallows.